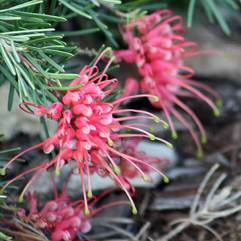 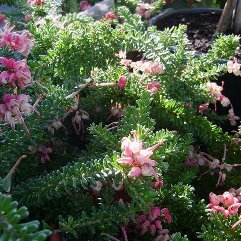 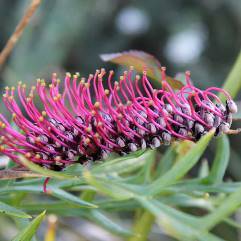 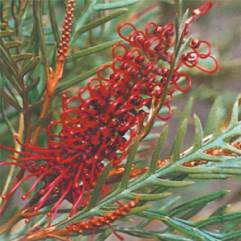 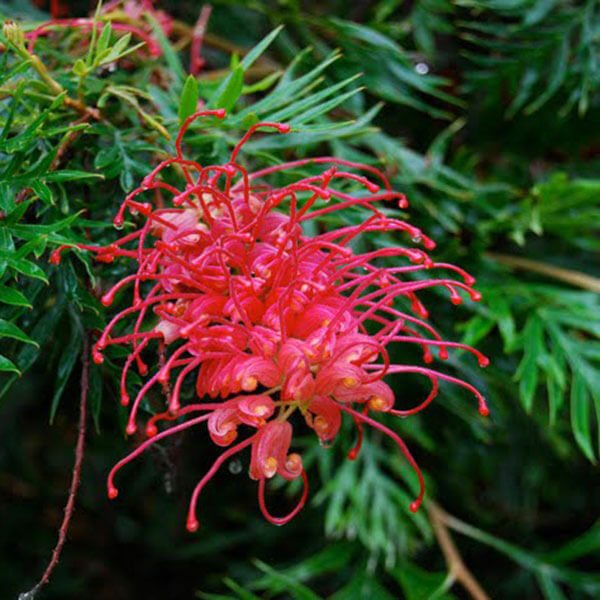 Grevillea is a diverse genus of about 360 species of evergreen flowering plants in the family Proteaceae, native to rainforest and more open habitats in Australia, New Guinea, New Caledonia, Indonesia and Sulawesi. 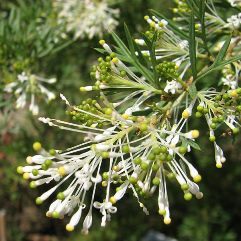 It was named in honour of Charles Francis Greville. 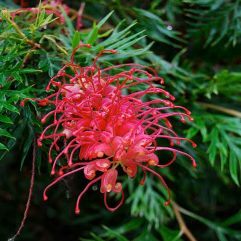 They are good bird-attracting plants, honeyeaters in particular are common visitors.